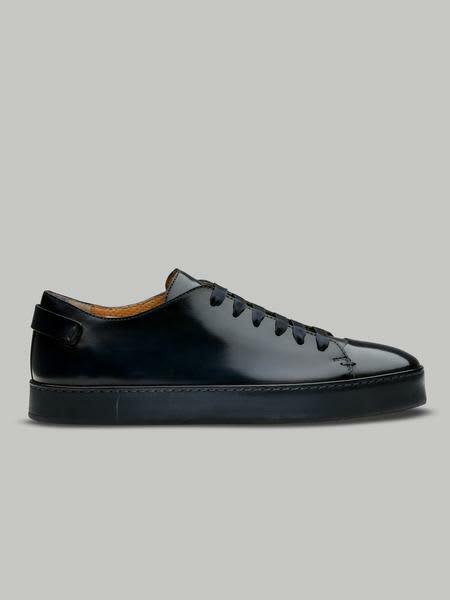 Low-top sneaker by Santoni in aged leather with a polished effect. It comes in a cool duck-egg blue and has been gently nuanced. This model features visible stitched detailing and has been peerlessly finished with a matching rubber cupsole.